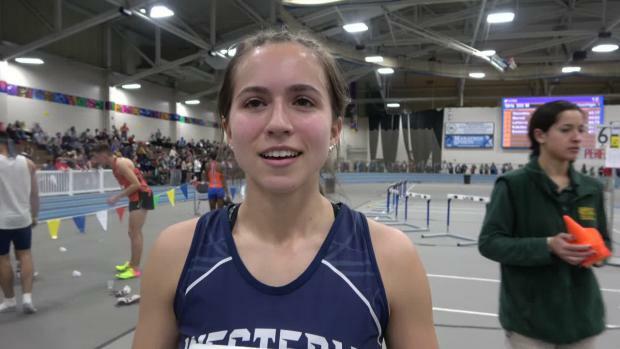 Remarkable considering she started her season running a 1:40 600 finishing runner-up at the URI Indoor Classic. 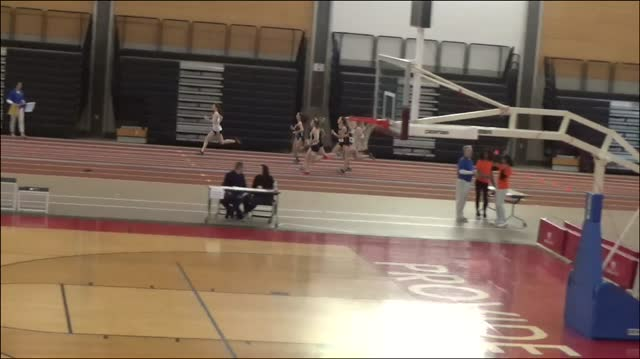 It would be the last time that Hall-Thomsen would lose a 600 meter race this season. 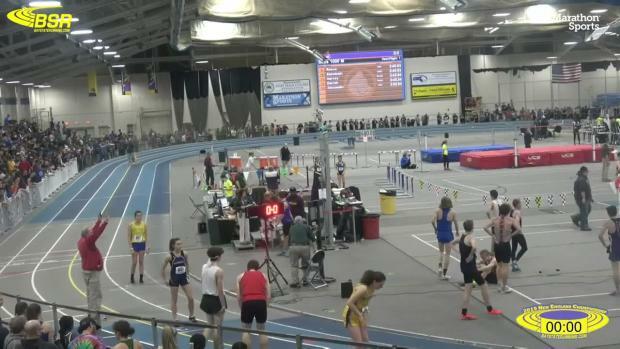 She had a fast time to beat from the prior section as another Rhode Island star in Nikki Merrill of Portsmouth had rolled a fast time of 1:34.70 in the prior heat for the seeded section to chase after. It would require Hall-Thomsen to really take over the race from the front and push the pace as no one ended up seriously challenging her in the race. 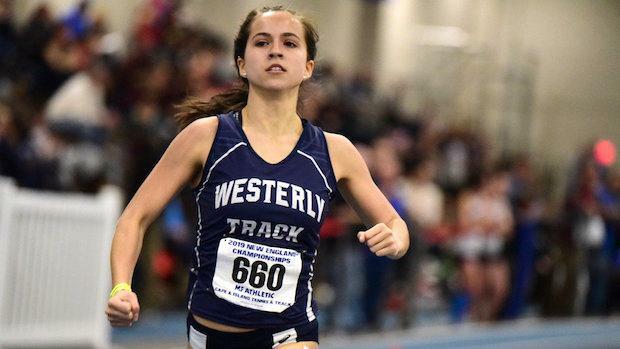 A fast closer over the last time allowed her to best Merrill's time and finish 1st overall with her first 1:33 performance. 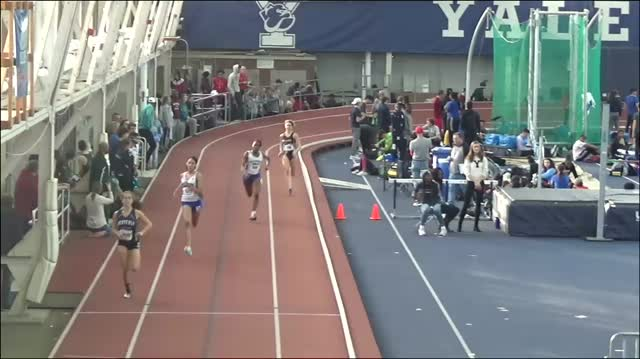 One of the rare 1-2 finishes by Rhode Island in the meet came in the girls 600.